Hold your spot by paying deposit or paying in full below. If you you pay a deposit only you will be sent a link to pay in full prior to 6/15/19 for early bird rate. Deposit is non-refundable but if there is a medical emergency it can be moved to another future retreat date. Retreat is based on first come first serve and requires a 6 person minimum to occur. I love teaching Reiki, especially in a retreat setting. Teaching and caring for my patients is my true calling. Reiki changed my life and I absolutely love to see how it drastically shifts my students and patients from a state of dis-empowerment to one of self-empowerment and alignment with their highest purpose in life. It helps one to feel more in control of their life-vision and to know how to make a positive contribution to the world. 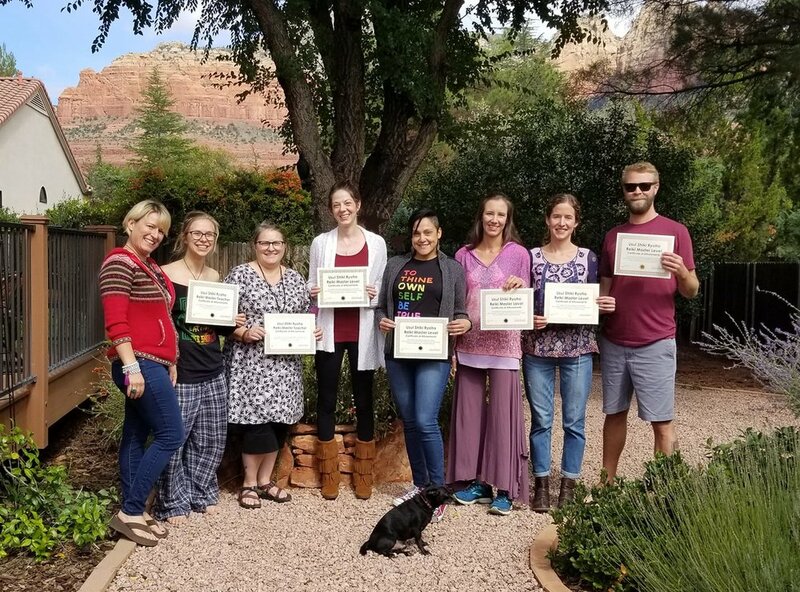 Teaching this class in the powerful setting of Sedona, Arizona is absolutely going to be a life-shifting event for all who join this small and intimate group of students. I hope you will consider stepping into your personal power and sign up to take this journey with us. I look forward to being your guide! Reiki is a wonderful compliment for other healing modality practitioner professionals such as Yoga Instructors, Acupuncturists, Massage Therapists, M.D's, Psychotherapists, etc, but is also great for one beginning their journey in spirituality or the healing arts. What's included with the Retreat Price? Students traveling from out of town can be picked up by a shuttle service to and from the Phoenix International Airport, AZ. Shuttle service is around $99 round trip - cash payment required to the driver. I recommend Ace Express Shuttle service - www.acexshuttle.com. Flights into Flagstaff are also an option. You may also rent a car - there is ample parking at retreat villas. 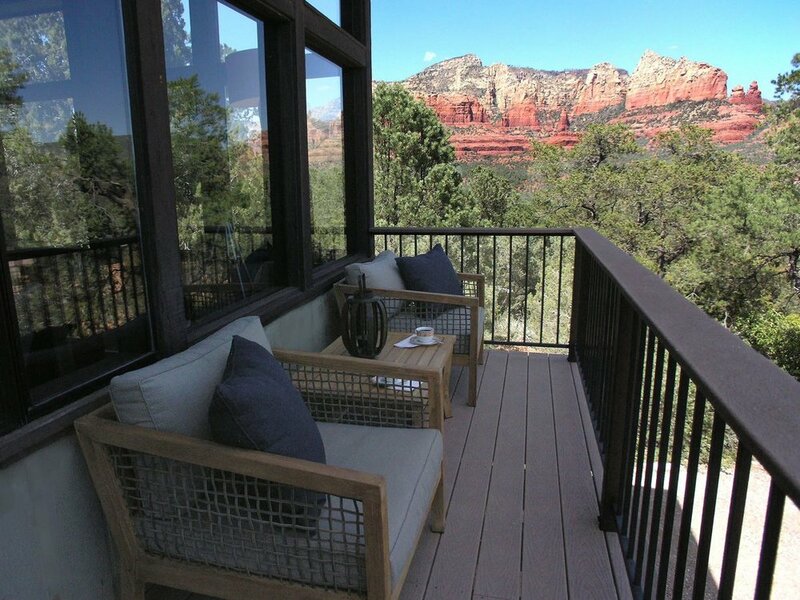 It is about 1 hour and 30 minutes to Sedona from the Phoenix airport. Students are expected to arrive anytime after 6:00 pm on the 14th of September and will be departing anytime after 9:00 am on the 21st of September. Clothing that is comfortable and suitable for warm desert climate by day and cool desert air by night in Arizona. Some of our classes will be held outdoors on the patio or in the main house dining/common area. Swimsuits if you plan on taking advantage of the hot tub. Bring a journal or your notepad/computer. Book to read in spare time. WiFi is included. CLICK HERE TO CHECK LOCAL WEATHER! If you would like more detailed information on this retreat please reach out to Reece! You can contact Reece at (720) 276-6118. 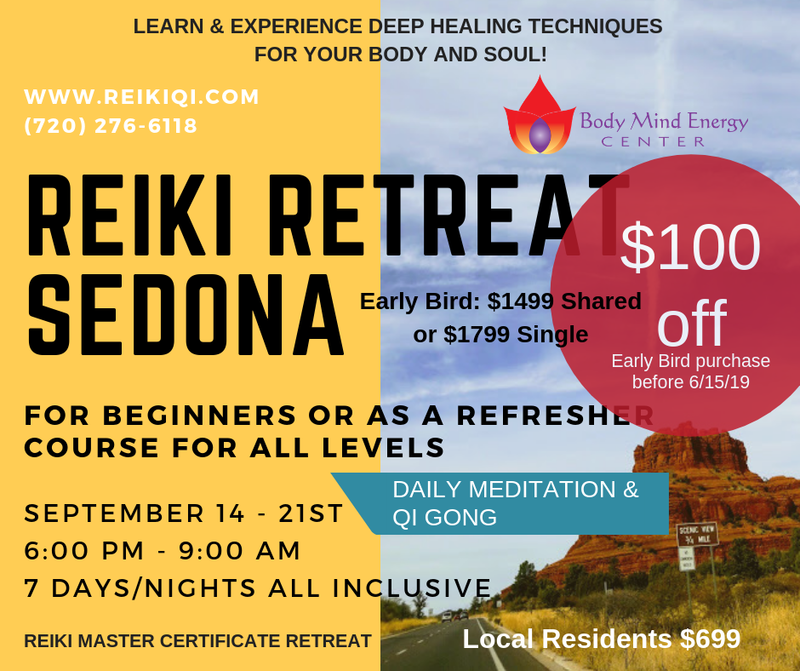 I can't wait to meet you and guide you on this wonderful Reiki journey in the magical setting of Sedona! Reece founded Body Mind Energy Healing Center in 2010. She has more than 15 years of experience working as a massage therapist, Reiki Master Teacher, and Energy Healer. In 2009 she completed her Masters Degree in Oriental Medicine from Emperor's College in Santa Monica. She has taught meditation and Reiki to 1000+ students in Chicago, Santa Monica, and Denver and has also taught Anatomy/Physiology as a visiting faculty staff at the Costa Rica School of Massage Therapy and as a faculty member at the Colorado School of Healing Arts in Lakewood, CO. Her passion is teaching Reiki and leading retreats in beautiful locations in the world. Please make your payment, read and sign forms below to participate in our retreat. All forms must be either emailed to reece@reikireece.com or mailed to 6565 W Jewell Ave. #1E, Lakewood, CO 80232 at least 30 days prior to start date of the retreat.